When you're moving and you have a lot of IKEA furniture, you know what you should do. You should take it apart, transport it and then put it back together on the other end. You know this. You consider this. And then you create a last minute flash sale on Craig's List, get whatever money you can from all that MALM, and re-buy down the line. Chairigami is trying to end this cycle. 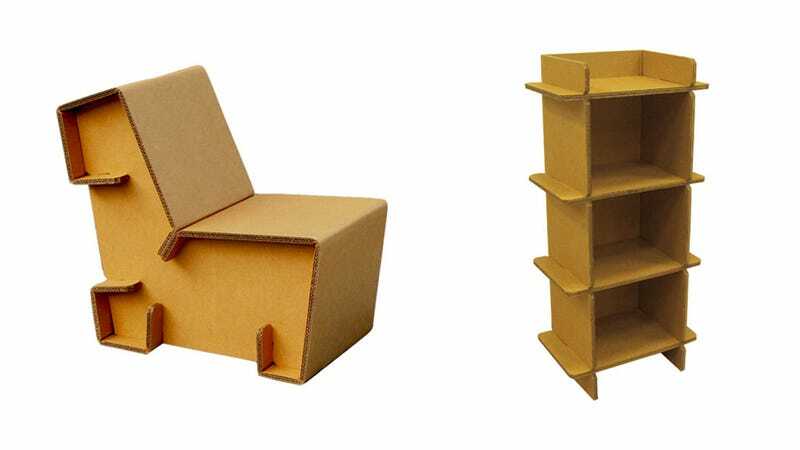 Founded by Zach Rotholz, Chairigami produces furniture made entirely out of triple-wall cardboard that is easy to unpack and repack. Flat. The company grew out of Rotholz's senior project at Yale, and started on $5,000 he had saved from his bar mitzvah. After all, seed funding is the whole reason to come of age.